You are here: Home > Is Darden Risking Guest Safety For Higher Profits? A few weeks ago, I did an interview with a producer for a national news program. 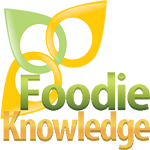 The purpose of the interview was to address some of the lingering myths concerning restaurants. After assuring the interviewer that line cooks do not perform foul acts with guests’ meals and we do not reuse the bread, I was asked another very interesting question. The interviewer asked what I worried about when I went out to eat. In that moment I committed to revealing the real secret that the restaurant industry does not want guests to think about. I pointed out that according to a recent study from Restaurant Opportunities Centers United that nearly 90% of restaurant employees have no employer provided health insurance. Nearly the same percent lack paid sick days. This means that if a line cook who makes $10/hour and works 30 hours a week, they have a tough decision to make when they are sick. The first option is to call in sick. This means losing a day’s pay, and then paying a couple hundred dollars more to get a doctor’s note to excuse their absence. The second option is to come to work in spite of being sick and jeopardize the health of everyone who enters the restaurant. I then pointed out this situation was not unique to the restaurant industry, but in fact it applied to nearly the entire food chain. From the time a vegetable is taken from the ground to the time it arrives at the table, as many as a dozen people could have handled it. There is a significant likelihood that not a single one of those people had health insurance. It is even more likely that they lacked paid sick days or a deductable they could afford. In my opinion, the risk to guests dining in restaurants is not a rogue employee, but the financially crippling to an employee who calls in sick. The number of people who get sick every year from this is highly underreported. Many times it is simply mistaken for food poisoning. The restaurant industry has an unprecedented opportunity to build a bond with the nation by addressing this issue and showing concern for the health and safety of diners. I assumed the Affordable Health Care Act would hasten the restaurant industry’s march towards making this a concern. Instead, it has lead to one industry leader moving further away from the goal. The world’s largest full service restaurant chain, Darden Restaurants, recently announced that it was cutting the hours of many employees in four test markets. This was a transparent attempt to avoid paying for health insurance for these employees under the new health care law which will take effect in 2014. It is also a blatant attempt, in my opinion, to sway the opinion of employees just a month before the presidential election. 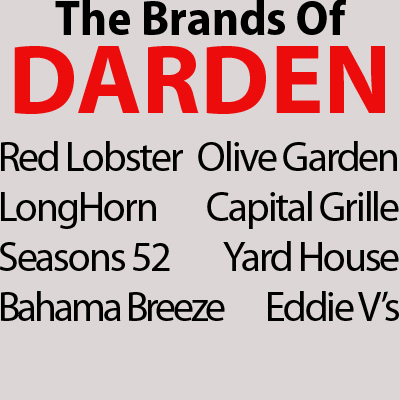 Darden may not be a widely known brand, but you are probably familiar with Red Lobster, Olive Garden, Capital Grill, Seasons 52, and other restaurants it owns. They are the industry leader and set a very poor example for other chains. The worst part is that Darden knows the consequences of this issue. In August, 2011 a worker came to work sick at an Olive Garden in Fayetteville, NC. The worker did not know that the illness was actually Hepatitis A. The local health department was forced to immunize thousands of restaurant guests. Instead of serving as a wakeup call, this has been dismissed as an isolated incident. If Hepatitis A is not enough to get their attention, one can only imagine what it will take for the company to understand the risk facing its guests. Let me make it clear that I am not unsympathetic to the financial hardship that providing health insurance poses for independent restaurant owners. 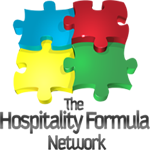 The only way it is feasible is if all companies must face the same burden. 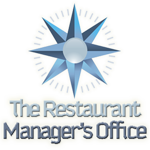 In 2014, the law will require all restaurants to face this change together. Most of these other restaurants do not have a CEO who reportedly pulled in $8.5 million in 2011 or saw their compensation increase an average of 23% per year from 2005 through 2011. The CEO may in fact be entitled to that sort of compensation, but the tradeoff is a lack of credibility when it comes to saying that providing a safe dining experience to guests is a financial hardship. The fact that Darden is claiming financial hardship due to this should be outrageous to all small business owners. 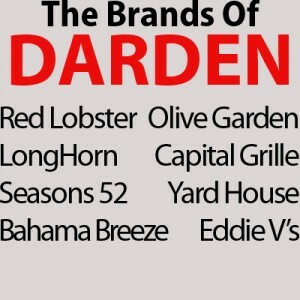 In 44 states, Darden is allowed to pay their servers less than the minimum wage. They have one of the lowest (if not the lowest) average per capita wage of any company their size in the country. These are not benefits being added to already exorbitant wages. The wages for restaurant workers in low in part because Darden has aggressively lobbied to keep them there. They also are facing a number of lawsuits regarding labor law violations that lowered their operating costs. Darden also has the benefit of a massive workforce in negotiating rates for health insurance, a luxury few other restaurant owners have. The restaurant industry should be vigilant in providing a safe dining experience to their guests. 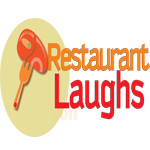 Our guests should feel confident that they are safe when dining at a restaurant. It is unfortunate that the largest company in the industry has taken this stance. I hope it causes you to think twice about whether this is a company that you choose to support with your dining dollars. Darden had the opportunity to lead the industry forward. Instead they have decided to cut their employees’ hours and placed profits over the safety of their guests. 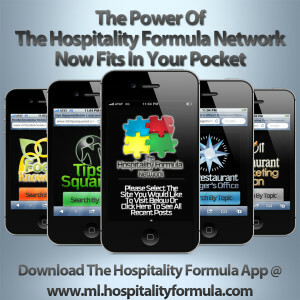 David Hayden is the creator of The Hospitality Formula Network, a series of websites dedicated to all aspects of the restaurant industry. He is also the author of the book Tips2: Tips For Improving Your Tips and Building Your Brand With Facebook. Excellent post David, and it’s not just Darden. I worked for 11 years at a company that if we (servers, bartenders, cooks) “called in sick,” we would be written up (possibly terminated) if we didn’t produce a doctor’s note validating the sickness. But who can get a doctors appointment the same day they are starting to feel sick -?- and often just a day or two of rest is what’s needed when one is sick, not an expensive doctor’s visit. As I guess you know, the problem the restaurant faces if they did not have such a policy would be that many irresponsible employees would simply “blow off” their shift and not show up for any variety of personal reasons – usually social. Sometimes when young restaurant employees call in sick, they are actually “calling in drunk” or are feeling too hungover to work that morning. One of my bar customers years ago (who obviously shares the exact concern you wrote about here) offered the best compromise. Knowing that restaurants tend to schedule lightly when they can to avoid high labor costs (which makes one person “calling out” bad for the guests and the staff) but also knowing the old adage that a person is “most contagious” when first coming down with something, or especially when they have a fever.. he made what to me is a brilliant suggestion that I doubt any restaurant would follow up with. He proposed that a Registered Nurse should be in every restaurant in town, taking temperatures as all food-handling employees walked in the door, every day. While local eateries would of course not want to pay for such an expense, he offered that local health departments should. Because you are very right in the concern or fear you pose about eating out : just one restaurant employee who really has the flu, but is forced to work his/her shift of face the consequences and loss of pay, will infect several more employees, and ultimately hundreds if not thousands of people in a single town. Legislation requires that every restaurant in the country implements this “nurse on duty” policy and has to pay for it and pass the costs on to guests equally – and gives the worker a PAID sick day off if the nurse determines that they are indeed sick and contagious… or, that every municipality requires such and pays for it out of local taxes in the overall interest of public health. As things stand now however, all restaurants in existence are indeed proverbial hotbeds of spreading disease to their communities. As you said, this is an under-reported fact common to the entire industry. I’m sad to learn that industry leader Darden (whom I once worked for) has opted to shy away from this issue, when in fact they could be instrumental nationwide in addressing and solving the problem. Darden is not negotiating lower costs for healthcare insurance anymore apparently as they now just give a credit and the rest comes from your paycheck thus hoping you won’t even get the health insurance plan they offer, the plan I had increased from $45 to over a $100 taken from the paycheck, so I got a very high deductable plan instead. But, I can see why many people would opt not to get a plan when $100 or $200 is Deducted from your paycheck. The only fix seems to be a Canadian style system or Medicare extended to everyone. I am quite familiar with those types of plans. 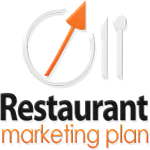 I detailed the plan I was offered at a corporate restaurant in the follow up to this post. Under the Affordable Care Act, minimum standards of coverage will have to be met. 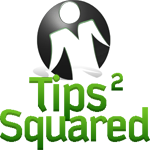 One of the problems faced by Darden is that the affordable plans they offer do not come close to meeting that minimum standard. I am taking a wait and see approach to this law, but it is definitely a step in the right direction. Leave a Reply to Guy Malone Click here to cancel reply.